My husband is not much of a snacker. I could have a plate of cookies out and he probably wouldn't think to eat them unless I told him to. (Oh how I wish I didn't have a sweet tooth!) Salty snacks are more his vise. If I had the house stocked with potato chips and Cheetos, he would be in trouble. Lucky for us, I don't succumb to buying that stuff at the grocery store. (As much as my kids wish I did.) And really, my husband is fine with that. He knows he doesn't need the temptation in the house. One thing he does love snacking on are peanuts. He loves to grab a handful and it gives him a nice salty little protein 'pick me up' when he gets the munchies. However, with all the heavily seasoned and highly salted peanut options out there, it made shopping for healthy peanuts difficult. Ingredients like natural flavor (natural= not really), sugar, gelatin, torula yeast (aka MSG), dried corn syrup, and maltodextrin are all things that I felt my family could really do without. Peanuts themselves can be a healthy option for a snack. When you add all that junk to them, you rob them of their goodness. One day I finally found some shelled raw peanuts at my local grocery store. I popped one in my mouth and was shocked to know what a raw peanut tastes like. They were good, but totally lacking in the flavor I had come to love in peanuts. I knew roasting would need to happen. Granted, this is not as convenient as buying pre-roasted nuts in a jar at your grocery store, but for a little extra effort, you get a much healthier food. 1. 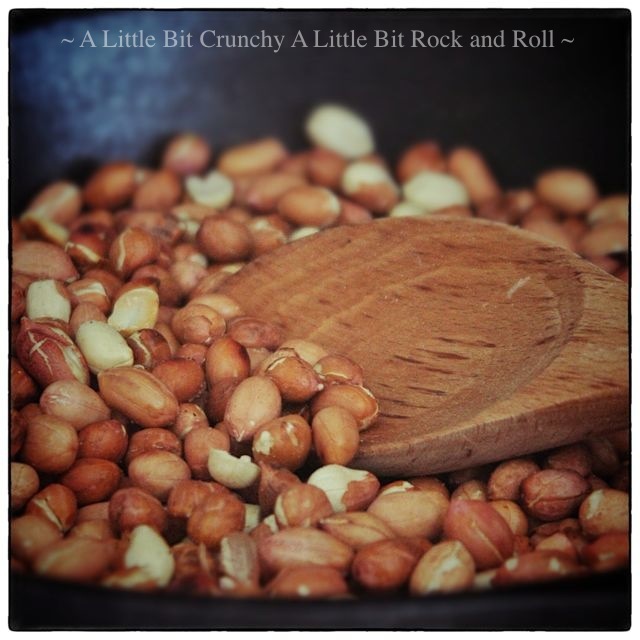 Cover a heavy skillet (preferably cast iron) with raw, shelled peanuts. Turn the skillet on to medium heat. 2. Sprinkle the peanuts lightly with salt (optional.) Stir them with a wooden spoon constantly (they will burn quickly if left unattended). 3. Roast them until they become fragrant and have turned a golden brown color. 4. 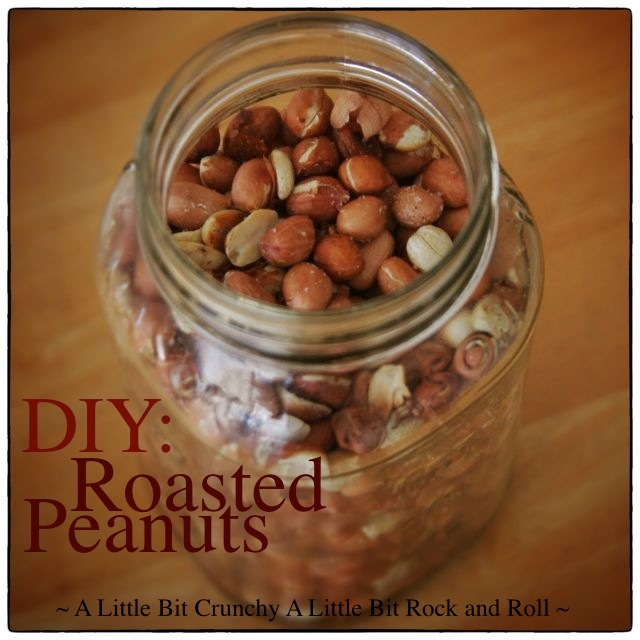 Allow the peanuts to cool completely before storing them in a glass jar. 1. Place the peanuts on a sheet pan in a preheated 325 degree F. oven. 2. Bake for 10 minutes. Stir with a wooden spoon and bake for an additional 10 minutes. 3. Sprinkle with salt (if desired) and allow the peanuts to cool completely before storing in a glass jar. Simple and delicious. I'm not much of a sweet tooth either. Fun--something else I've never tried! Have you eve made peanut butter? I'd love to see a tutorial on that. I'd like to, but haven't tried it yet. My friend's father used to make the most amazing homemade peanut butter. About 5- 10 minutes of stirring. Depends on how high your flame is. Just don't leave them unattended, they will burn quickly.